Back in the fall of 2016, the Danzante Bay Golf Club unveiled the first 11 completed holes of its dramatic and unique layout designed by Rees Jones. 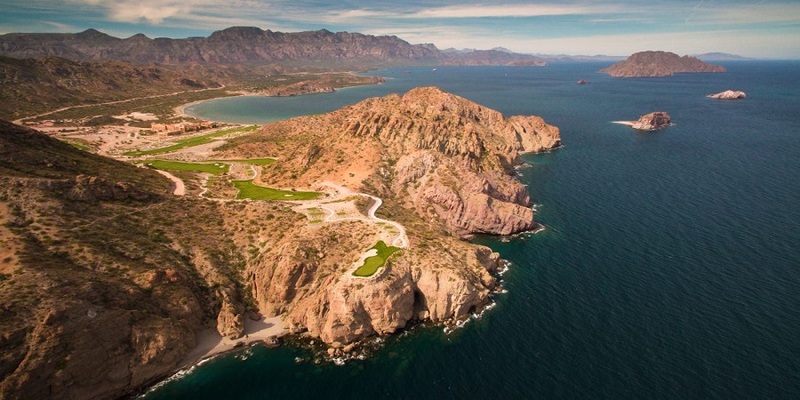 It’s a course that plays over, around, and between the rocky, scrub-covered buttes of the Sierra de la Giganta mountain range on the east coast of Mexico’s Baja peninsula. At that time, invited media guests (and, soon thereafter, guests of the Villa del Palmar Beach Resort & Spa) played the first hole, a short par 4 with a wide fairway and few hazards; the ninth hole, a downhill par 3 framed by the clubhouse and a prominent, rocky bluff beyond; and the course’s diverse back nine, a stretch of holes punctuated by the layout’s signature 178-yard par 3 (more on this later).